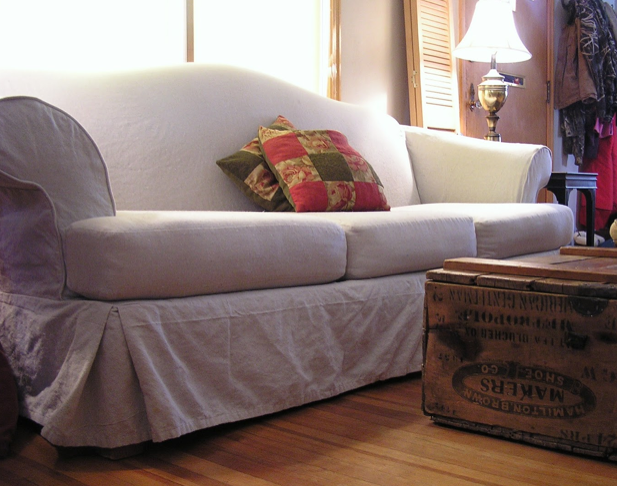 Another lovely drop cloth slipcover for this goodwill sofa from Sugar and Spice. Simple and Sweet! 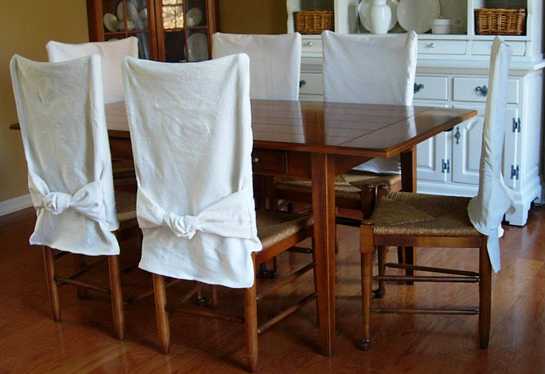 Diane from In My Own Style made these simple slipcovers for her dining chairs. Love the knot on the back! 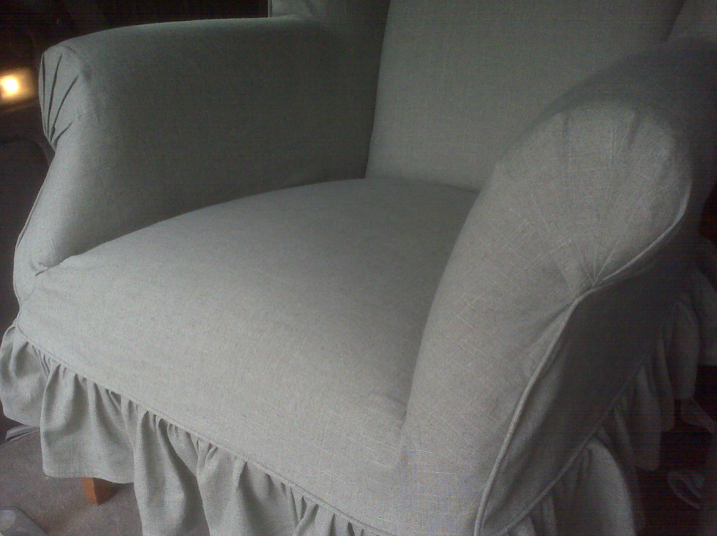 Gray Linen Wingback Chairs by Michelle from Jamieson Interiors. Swoon! 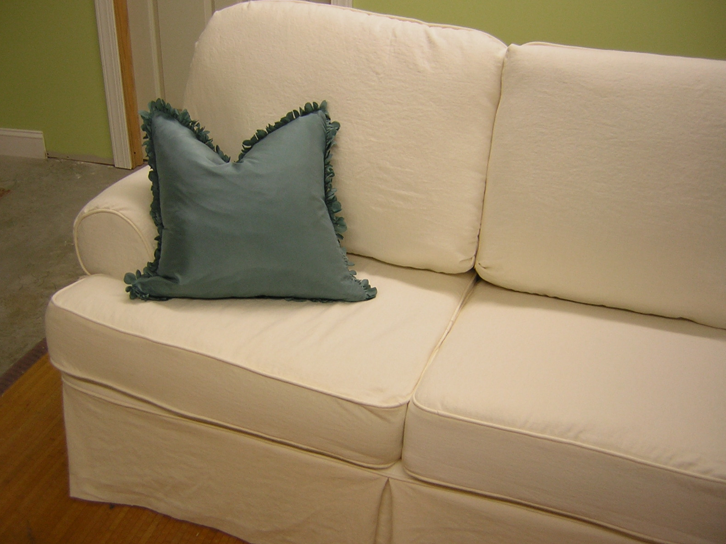 Gina from Slipcover Chic shows us how she slipped this sleeper sofa with attached cushion backs. Beautiful as always. If you’ve been featured…grab a button. Love that gray chair! Great job… it's perfect! I like Friday's 🙂 I come here and get inspired by all these slipcovers! AWWWW!! Thanks for featuring me!I had fun with the post also!Recognition for any work done is always appreciated.